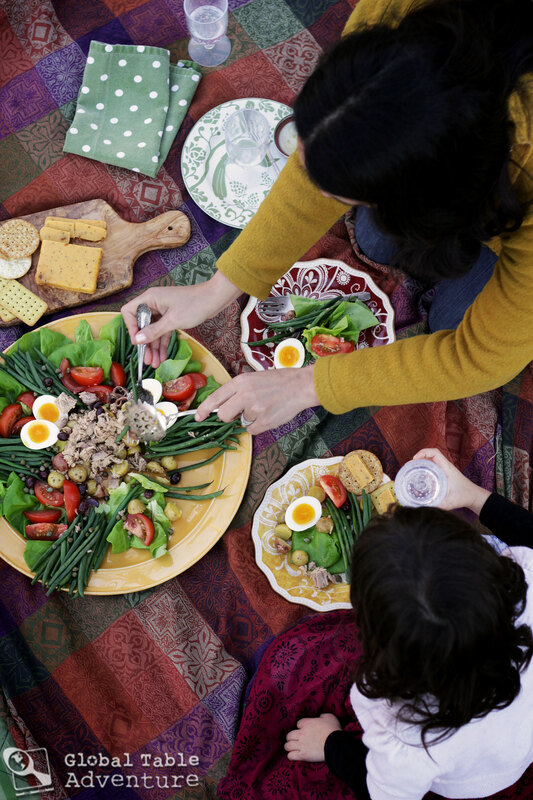 There’s nothing like a mid-winter picnic, especially if Salad Niçoise is part of the equation. The other day my daughter asked if we could eat dinner outside. It was sunny, the temperature in the mid-sixties. My answer? Most definitely. We bundled up – each in a cozy sweater – and set up our colorful spread on the scraggly winter landscape. 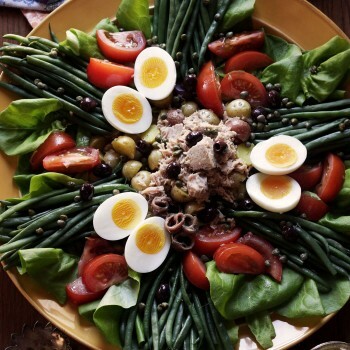 For the Salad Niçoise, I took my inspiration from Julia Child and piled on delicately steamed French beans, hard-boiled eggs, tomatoes, and everything deliciously funky: Tuna, olives, capers and a few anchovies (for salty chew). A handful of crackers with cheese completed dinner (though a hunk of crusty bread would be nice, too). My husband flashed us all back to his “Mr Picky” days as he struggled to down one solitary anchovy. He did the work but remains unconvinced of their merits. My daughter escaped the challenge since she’s a self-proclaimed vegetarian, focusing her efforts instead on the vegetables and cheese (for protein). As for myself, I ate everything. While we enjoyed our meal, the sun sunk behind our neighbors’ rooftop (taking the warmth with it). Our fingers gradually chilled until we found ourselves laughing, rushing our blanket and plates inside before dusk turned the invigorating air into brittle chill. We finished our picnic indoors, huddled around the coffee table. Even though our winter picnic lasted a mere fifteen minutes, it was just the sort of spontaneous fun needed to break up the winter doldrums. I’d like to offer you a chance to make such a feast with your family. Thanks to Genova Tonno, one reader will win a gorgeous Gourmet Gift Basket filled with premium oil-packed Yellowfin Genova tuna, a bottle of pinot noir, tomato and basil cheese, tapenade, pesto, crackers, couscous, and artichoke hearts. 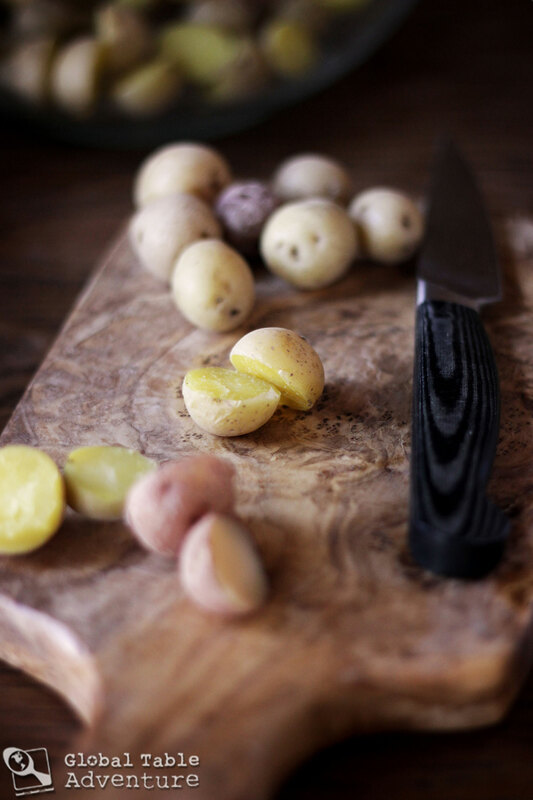 The Sur la Table cutting board is aces (it’s made with olive wood) and the cookbook is full of exquisite recipe ideas. UPDATE: A winner has been chosen by random selection. Congratulations Wakenda! 1.) 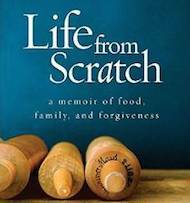 Place a pre-order for my new memoir LIFE FROM SCRATCH (e-book or hardcover version). You can find it online at Barnes & Noble and Amazon, and will soon be available from your local independent bookstore! If you already pre-ordered my book, you can still enter this contest. 2.) Leave a comment below. 3.) 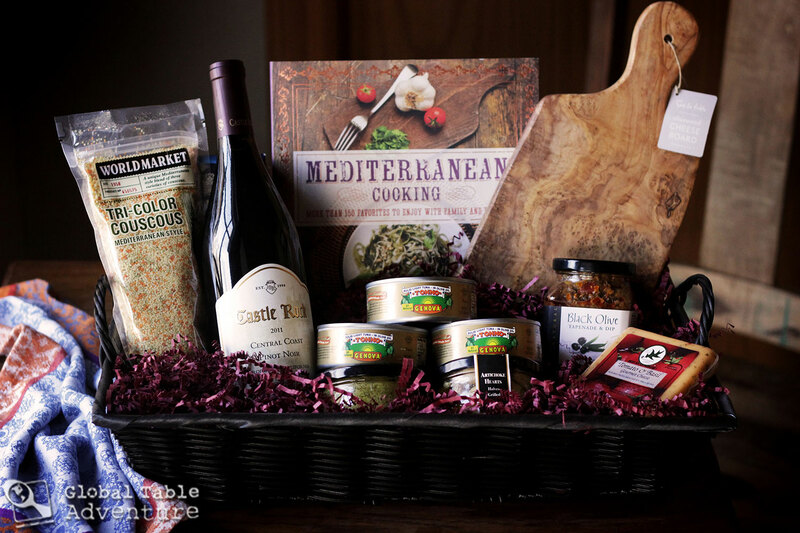 And you’re entered to win! 4.) The winner will be announced and contacted after February 16th, 2015. If your name is chosen, you’ll need to email me your proof of purchase (a confirmation email or a photo of a receipt). 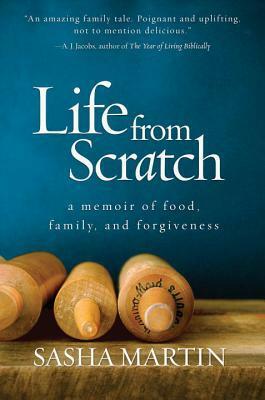 My new memoir, LIFE FROM SCRATCH, will be here on March 3rd. If you love this blog and plan to read my memoir, please consider taking a few minutes to pre-order the book today. You may not realize this, but the more people who pre-order the book, the better chance the book has at doing well (more pre-orders help books get on the New York Times Bestseller list, for example). Consider this contest a heart-felt thank you for your continued support. 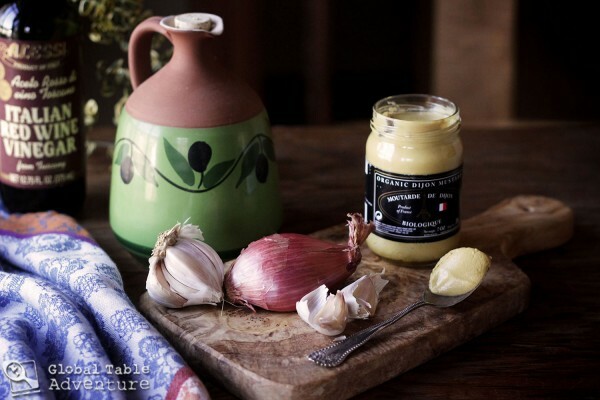 I like to make the salad dressing first so the shallots and garlic have time to infuse the vinegar mixture.I just add all ingredients to a small jelly jar and shake, shake, shake. I place mine in a small pot, cover with cold water and turn the heat on high. 13 minutes later they come out perfectly. Here’s my nifty trick for perfectly sliced hard-boiled eggs. Depending on the size of the baby potatoes, they can be cooked with the green beans (just remove the green beans with tongs if the potatoes aren’t done when the green beans are). I find both took 9-10 minutes at a boil. Shock the green beans in cold water to stop them from turning muddy. 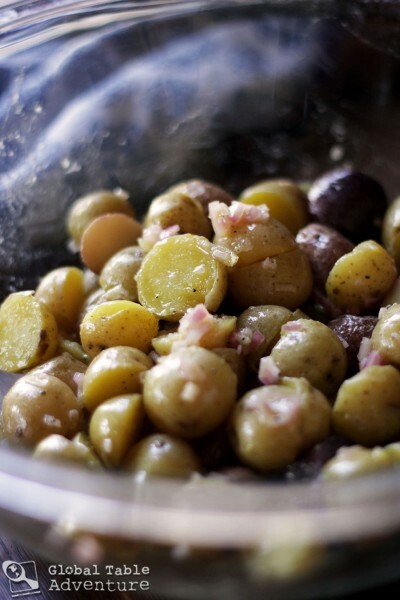 Once the potatoes are cooked, slice in half and toss with a few tablespoons of dressing (while still warm). In a separate bowl, do the same with the cold green beans and tomatoes. 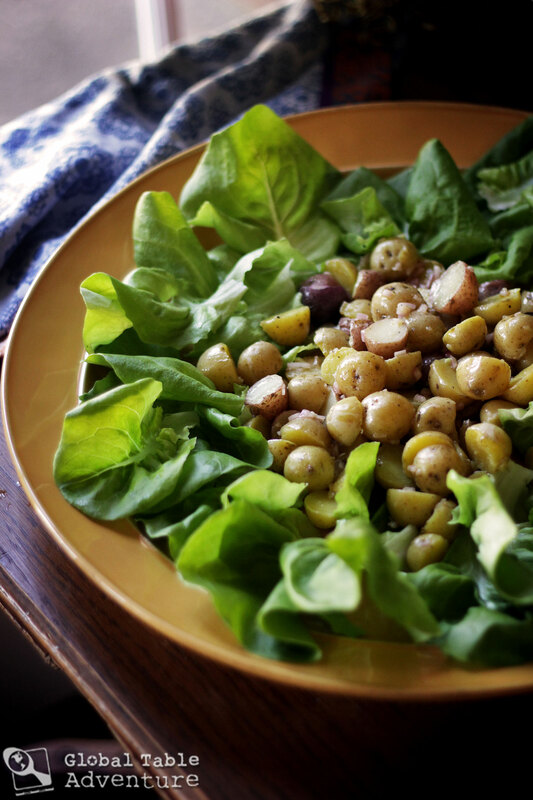 (Adding vinaigrette to each ingredient makes for a perfectly seasoned composed salad. If you’re just going to toss everything together simply wait until serving time to add the dressing). Layer some lettuce on a large platter. Mound the potatoes in the center. Arrange the green beans in 6 bundles around the outside. Add the tomatoes and eggs in a decorative fashion. 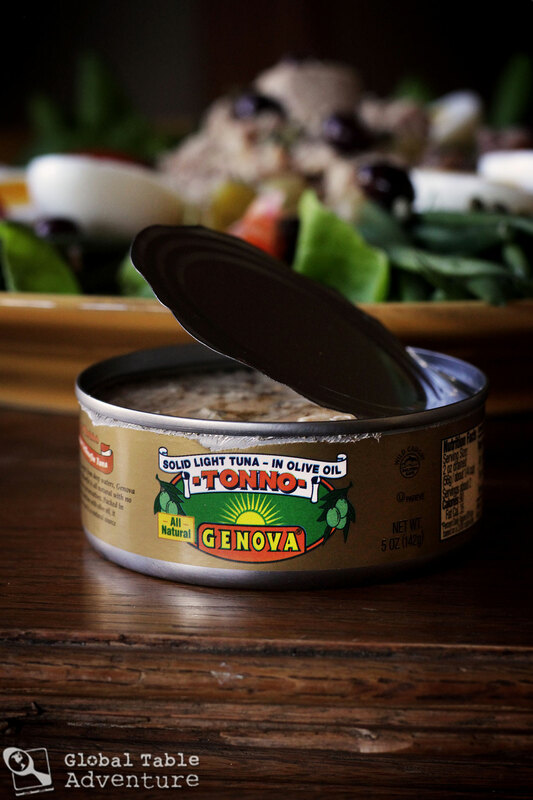 Finish with a mound of tuna in the center, along with olives, capers, and some anchovies. 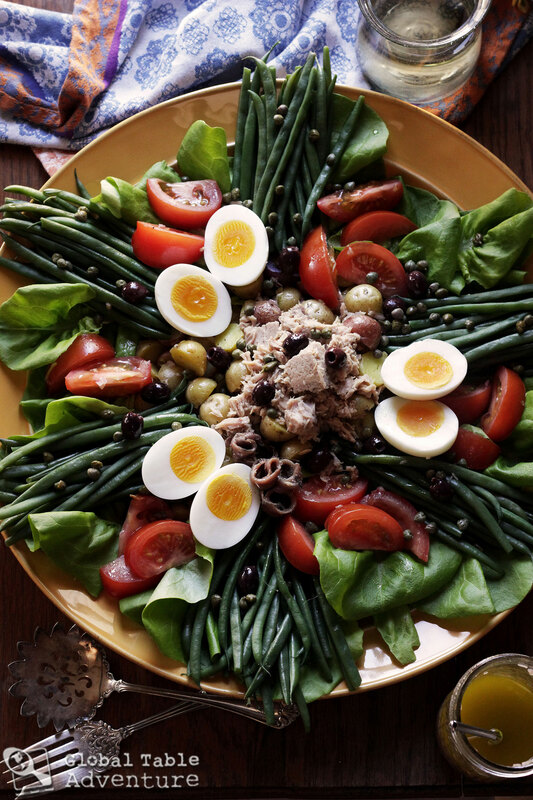 Delicately steamed French beans, hard-boiled eggs, tomatoes, and everything deliciously funky: Tuna, olives, capers and a few anchovies (for salty chew). A handful of crackers with cheese complete dinner. 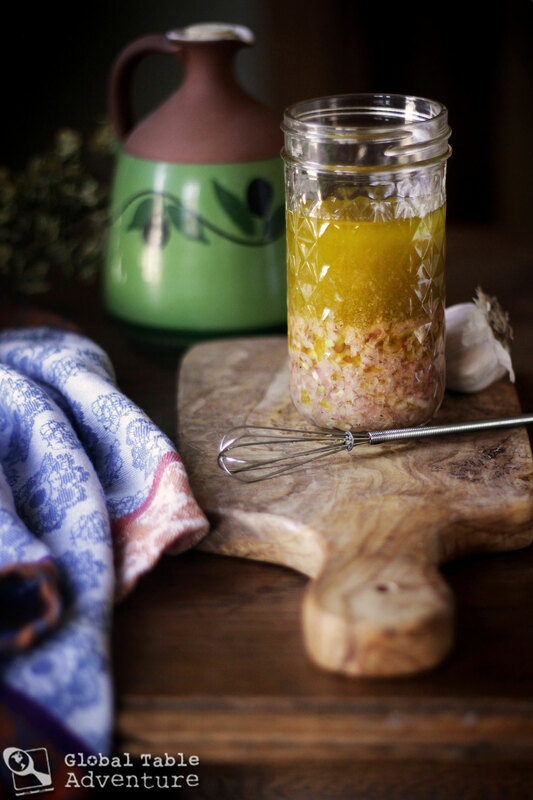 Add all ingredients to a lidded jar and shake. I discovered this salad after marrying my Frenchman! 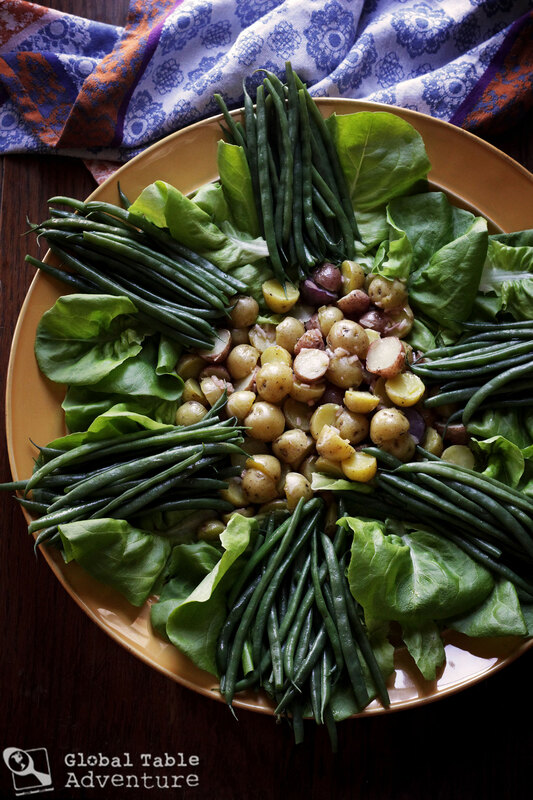 Now, salade nicoise is our favorite go-to picnic salad or hearty summer company salad. Without the proper dressing, the salad is a complete flop…and the green bean cold water bath is a must! Try it without the anchovies and it’s even better (shhh…don’t tell the French)! The anchovies add some depth to the dish. 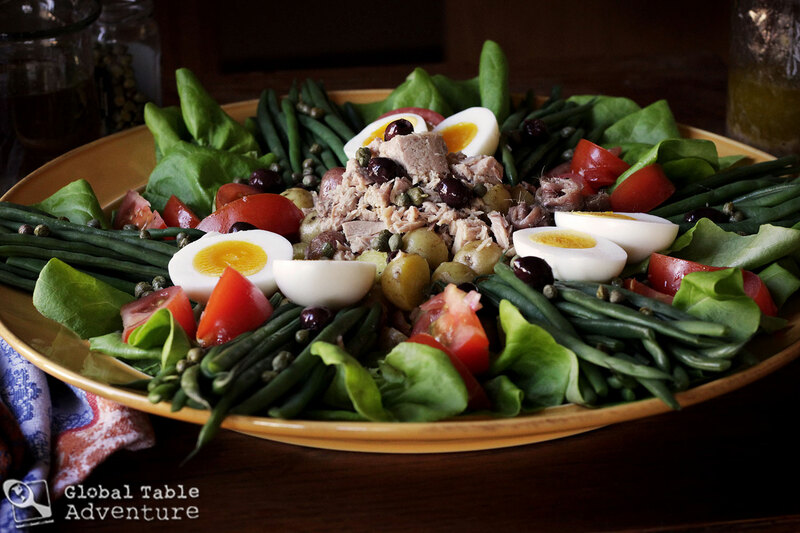 I used to eat a salade Niçoise every weekend while living in Provence. They’re great during spring and summer or anytime the weather is nice. And in Nice the weather is always nice! A few weeks ago I heard a small portion of an interview you did and was so excited to look up your website. What a fantastic concept and wonderful execution of it! 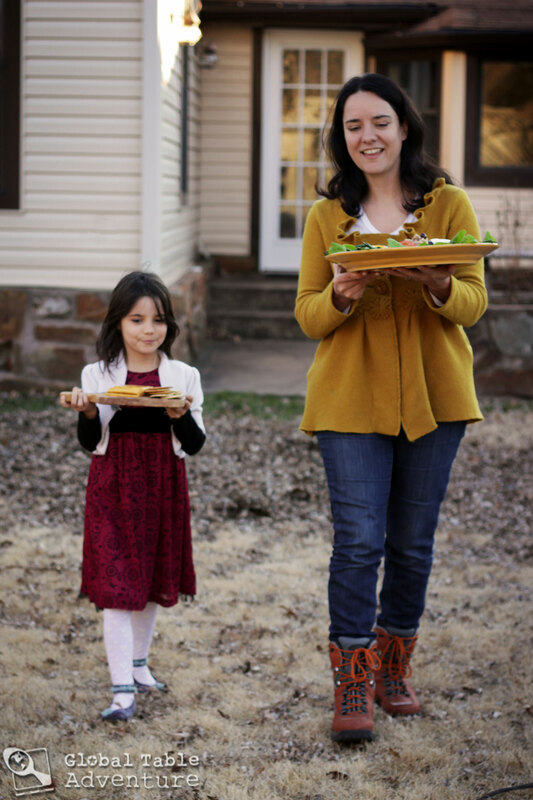 I have always integrated meals and flavors from various cultures and encouraged my kids to see beyond their comfort zone to the world around them. I applaud you for successfully completing round one of your journey and taking us all with you! Thank you for being willing to open your home and heart to us. And, of course, the dishes I’ve tried so far have been delicious! I preordered your book as soon as I found that it was available. I am so looking forward to it. 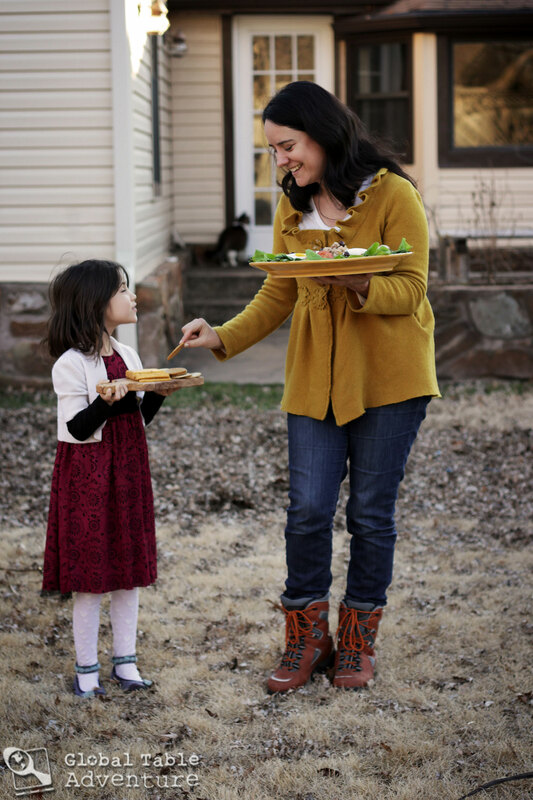 I admire your sense of adventure when it comes to eating & the wonderful education that your daughter has received with your cooking meals from different countries. I’ll be pre-ordering later today and also hope to see you at the Wellsley or Boston book tour stops. Bring boots when you come, we have so much snow here now that it will certainly still be on the ground in March! So excited your book is published. Knowing your blog, ordered sight unseen for me and for presents. My comment on this lushious looking salad… I’d have to agree with “Mr Picky” on the anchovies. To them and to sardines, I have to say, “NO.” But that being said, I am always grateful to my college friend who introduced me to authentic Caesar Salad by begging, “Please just try it, you can,t even taste them.” And she was right and that was almost 40 years ago. Book is pre-ordered! I can’t wait. I am looking forward to seeing this book! I can’t wait! We met you in Tulsa twice and have been eagerly looking forward to your book ever since. The “GTA” at the museum was a truly wonderful afternoon, and dinner during the Food Network taping has added to our interest. The Tulsa signing is already on the calendar! Most certainly ordered the book from the very first announcement! Will your book tour bring you to Northern California? Would love to have my copy autographed! That looks delicious!!! I wish we could have picnics, but we have about two feet of snow on the ground 😉 might have to try an indoor picnic! Can’t wait for the book!!! That salad looks soooooo yummy! Since the temps are dipping down below zero this week in my neighborhood I’ll have to forego the picnic outside, though. Even with cozy sweaters, I don’t think we’d be very comfortable sitting in the snowbanks! 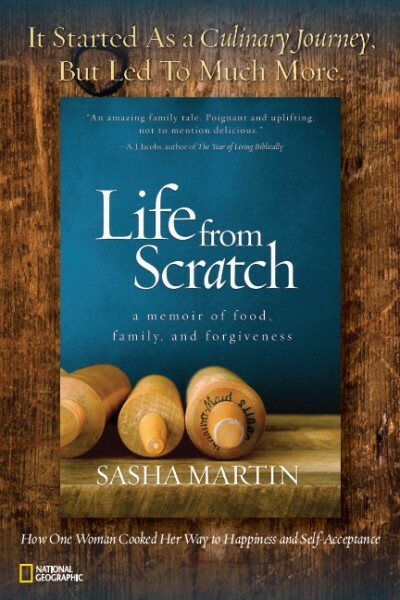 Sasha- I may have two books ordered now… will have to check in the morning… 🙂 I have been proud of your journey (which came into my world early in your “travels”) around our cultures and your evolution from a Mom with a mission to a woman serving the world on a platter- or bowl. 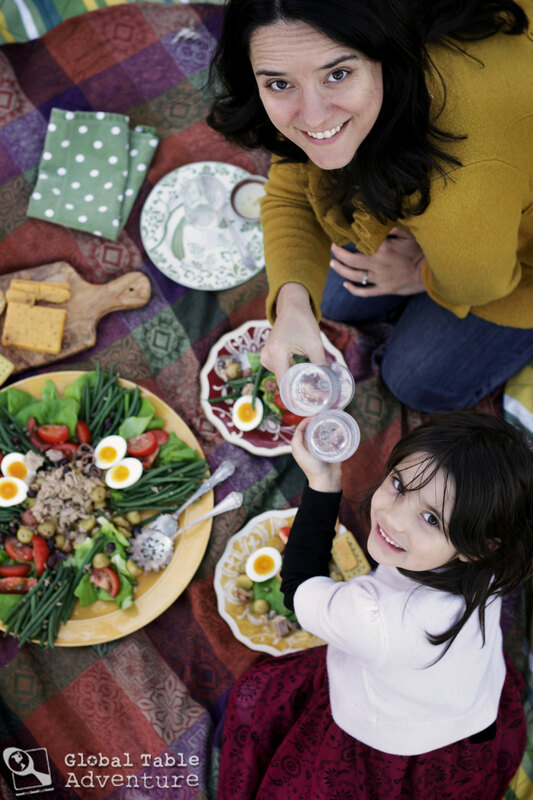 May we each make a table of food to share with friends, families, etc. where ever we are from, where ever the world finds us calling “home” this day. I ordered your book today. I listened to your interview with Rick Steves on the way home from church about a month ago and it really intrigued me. I teach my students about a new country in the world every two weeks. I would like to include recipes from your book with my lessons. I don’t know that we will cook through every country but we are going to give it a shot. I see your book tour is going to bring you to Third Place Books in Seattle. We hope to meet you there and have you sign our book. Congratulations on your book! It looks amazing. I love to see all of your great food, photos and adorable family photos. Thanks for sharing! I just ordered your book and look forward to reading! BEAUTIFUL salad!! It would certainly be a wonderful picnic salad on a sunny day, but I think it would be a nice nod to spring to help you through the winter doldrums. BTW, I have pre-ordered! I’ve pre-ordered. Congratulations on your book! My book is ordered!! Looking forward to release day!!!! Congratulations!!! Best wishes, Sasha!! I love your blog – you are a very gifted writer. 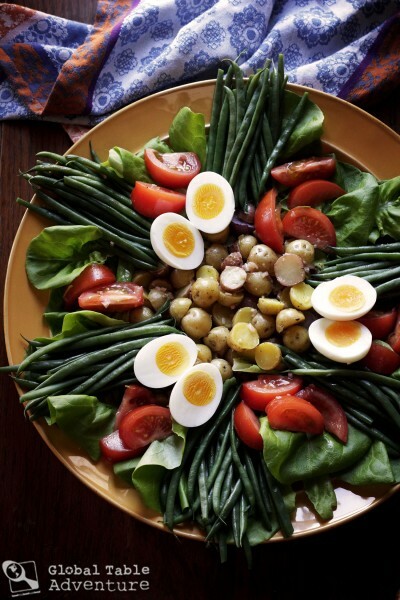 Love Salad Nicoise! It’s a summertime favorite here. I’ve asked my library to order your book. 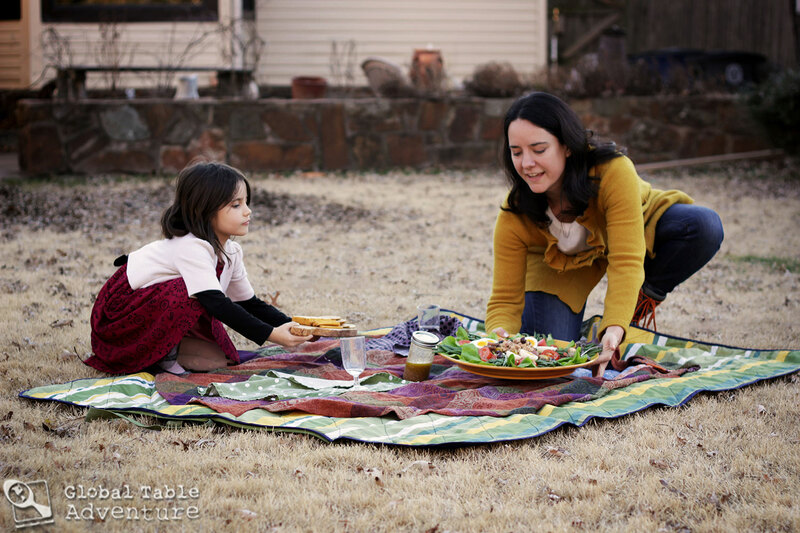 Great looking salad and winter picnic! My daughter is vegetarian too, she’s 8. I’m from Nice and we are very sensitive about our dear salad… There are no potatoes, no green beans, no capers, no lettuce, no shallot and no mustard in a real salade niçoise. The ingredients are : tomatoes (not too ripe), artichokes and/or fava beans, radishes or cébettes, anchovies or tuna, olives de Nice, hard boiled eggs, poivrons salade (special green peppers only found around the Mediterranean), olive oil, salt, pepper, a bit of basil and a drop of red vinegar. 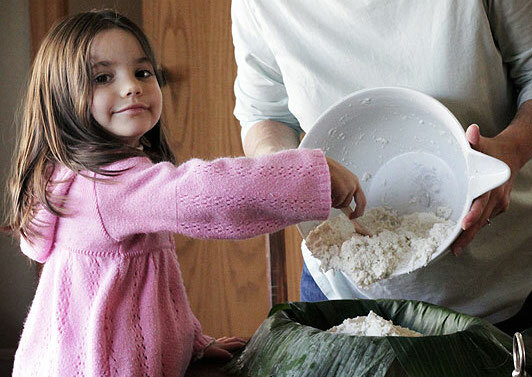 Thanks Camille – this was an adaptation of Julia Child’s version – I clarified that in the recipe. Love seeing the real deal though, too!